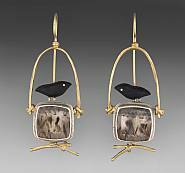 Learn how to achieve “fair pricing” for your art with businessman/ artist, Warren Feld. Understand your role in the world of jewelry commerce and how to make money by doing what you love, through fair pricing of your work. No handout is included in this class. “TODAY’S LESSON IS ABOUT ONE KEY TO SUCCESS: SMART PRICING. WE DISCUSS WHY JEWELRY SELLS. WE GO OVER DIFFERENT KINDS OF PRICING STRATEGIES USED BY JEWELRY DESIGNERS AND THE JEWELRY INDUSTRY. I PRESENT A SIMPLE MATHEMATICAL PRICING FORMULA. I EXPLAIN THE FORMULA, AND BREAK THIS DOWN INTO LITTLE STEPS. THEN WE PRACTICE APPLYING THE FORMULA AND PRICING SOME PIECES OF JEWELRY. AT THE END OF THE LESSON, I DISCUSS THE DIFFERENCES AMONG RETAIL, WHOLESALE AND CONSIGNMENT. I BRIEFLY DISCUSS SOME KEY BUSINESS STRATEGIES WHICH ARE VERY RELATED TO PRICING. AND I OFFER SOME FINAL WORDS OF ADVICE. 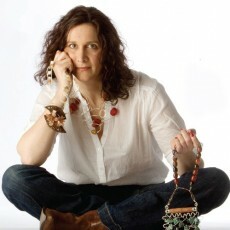 It’s always important to develop a personal style within your jewelry creations. Something that helps people recognize that the jewelry was made by you, and not someone else. A signature, or signifying element. This can be a certain choice of colors. 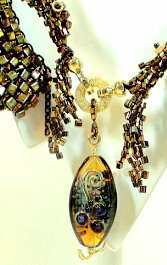 It can be the addition of a special bead to each piece, or special dangle, or special tag. 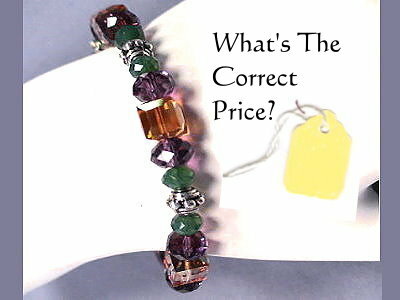 It can be the use of a custom made clasp. Or a certain style of construction. Or the use of certain images, forms or motifs. 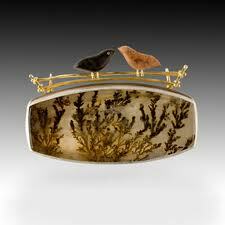 Carolyn Morris Bach is a jewelry artist from southern New England. 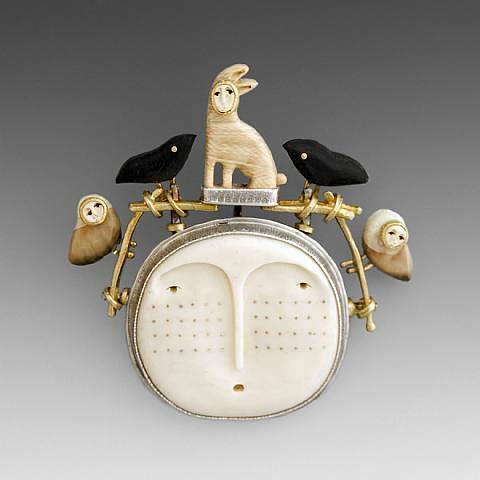 She has a very strong signature motif she uses: tiny creatures with solemn or half-smiling, ovoid or moon-shaped faces carved from ivory or gemstones and the like. 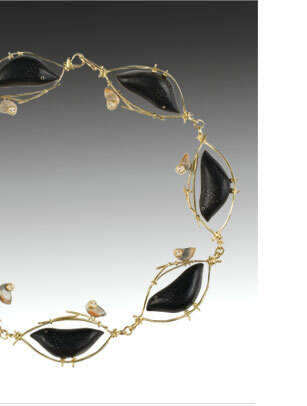 Her pieces are mythical and allegorical, yet very contemporary. She makes it very easy to associate her pieces with her. This, in marketing terms, is a kind of branding. 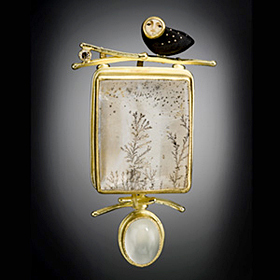 When people see these motifs and styles, they automatically begin to associate the jewelry with Carolyn Morris Bach — even if someone else had created the piece. The piece above would be beautiful without the owl. Or the “owl” element did not have to be a bird motif per se, but could have been anything. By making that element an owl, and styling the owl as she did, her jewelry comes with her signature. That’s important for all jewelry designers to do.